Our giving-back cards are 5X5 and printed in the USA on recycled-content paper. They are blank inside. 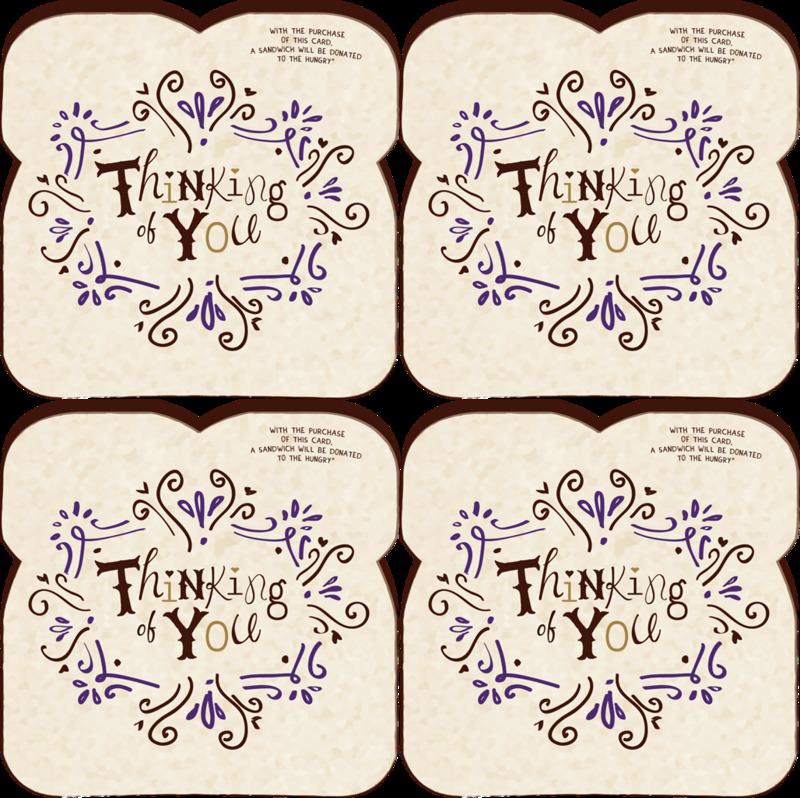 The THINKING OF YOU 4-PACK is packaged in a clear box. The cash equivalent of four peanut butter and jelly sandwiches is donated to a soup kitchen, food pantry or other organization that feeds the hungry when this THINKING OF YOU 4-PACK is purchased.